Today’s Topic: Where do you buy books? I used to shop at Borders pretty exclusively (how that corporation folded while taking in profit made from my purchases alone, I’ll never understand). Now that Borders has faded into the sunset, though, I’m not picky about where I buy my books: Costco, Walmart, Target (these three are the stores at which most of my impulse book purchases are made), Amazon (I’ll do a big order every few months), my local new-and-used (because I love its ambiance and the luxury of browsing), and Barnes and Noble (though that’s rare because there’s not one nearby). A Good Book, my local new-and-used… Love this store! Tell me: Where do you buy books? And don’t forget to visit YA Highway to see how others answered this question! 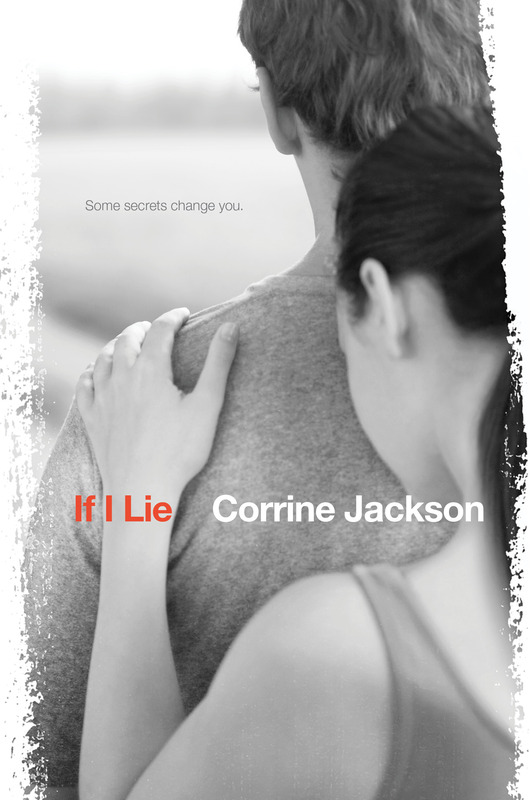 In other fun news, my fellow Bookanista Corrine Jackson has gotten the go-ahead to reveal the cover and summary of her August, 2012 contemporary young adult novel If I Lie. Please do visit Corrine at her blog or Facebook page to learn more about her books and writing, but first… How cool is this cover? And how fantastic is this summary? Quinn’s done the unthinkable: she kissed a guy who is not Carey, her boyfriend. And she got caught. Being branded a cheater would be bad enough, but Quinn is deemed a traitor, and shunned by all of her friends. Because Carey’s not just any guy—he’s serving in Afghanistan and revered by everyone in their small, military town. Quinn could clear her name, but that would mean revealing secrets that she’s vowed to keep—secrets that aren’t hers to share. And when Carey goes MIA, Quinn must decide how far she’ll go to protect her boyfriend…and her promise. I have to say: I find the premise of this book incredibly intriguing. I’m always down for an emotionally charged, secret-shrouded contemporary, but the MIA bit mentioned in If I Lie‘s summary latches on to my deepest, darkest, military wife fears and won’t let go. I’m desperate to get my hands on this book! Are you as excited as I am about If I Lie? Posted in: Book Covers, Current Events, New Releases, Road Trip Wednesday! And I agree with you. Save a few bucks on books feels like cheating and, when I lived in the US and saw a book I wanted, it didn’t matter where I was … I just bought it. Thanks, Juliana! I’m all about a bargain and I buy plenty of books from Amazon, but if I discover a gem in a store, that’s where I pick it up. Ha! Imagine that. 🙂 And I agree: Can’t wait to read IF I LIE! That first picture is gorgeous! That new-and-used bookstore sounds really awesome. I wish I had something like that near me! I’m so thankful for “my” new-and-used. Bonus: The girl that works there almost constantly is incredibly knowledgeable and has fantastic taste–I’ve gotten some fabulous recs from her! That book sounds amazing! I preferred Borders, too. 😦 Their organization system made so much more sense to me. If I Lie looks awesome – it’s going on my list! Mine too! Can’t wait till August so I can read it! I’m the same way, I always buy a book where I see it. I hadn’t even thought of Target or Costco, which I do happen to buy from pretty often. If I Lie sounds like an amazing book and the cover is really intriguing. Thanks for sharing it! My pleasure–always happy to share intriguing books! I like buying books at Target because they have little book club recommendation stickers on some books. I’ve picked up some unexpected gems thanks to that system! To each his own, Colin! I’m certainly not against a bargain (I hear about tons of books online, so I buy tons of books from Amazon! ), but I just don’t like the idea of using brick-and-mortar stores only for the purpose of browsing. Somehow seems unfair! Such a great point, Katy. On occasion, I’ve been guilty of browsing at B&N and then ordering online. When I do this, I still ALWAYS buy from B&N; I would feel terrible “window shopping” at one store, only to buy it from another business. BUT, based on your points, I think what I’m doing is ultimately just as bad. If books aren’t purchased *in* store, then what’s the point of the store? And I certainly don’t want the store to go away. I love the rows and the seats and the coffee. I love that they stock the shelves for me, and I want them to *keep* stocking shelves. Thank you for sharing your thoughts here. Next time I’m really pulled into a book at B&N, I’m just going to buy it there. That’s exactly why I don’t like the idea of using physical stores just for browsing… if we ALL start doing that, then they’re sure to disappear. How sad would that be?! And don’t get me wrong: I order plenty from Amazon, but only the books that I “discover” online or have been sitting on my To-Read list for ages. Oh! I never think to look at the grocery store, though I’m usually on a mad dash to get through with my little grabby-hands daughter sitting in the cart. Not really conducive to book browsing. 🙂 Still, I’ll definitely have to check out Safeway’s selection next time I’m there (which will probably be in, oh, two hours!). I avoid shopping at places like Walmart and Costco for books after I heard something about how them shelving books can often hurt the publishers because of the quanitity they buy/all the returns they do. There’s a used book store I used to go to at least twice a month. If they had a new copy of a book (which they often did in the YA section) I wanted, I’d go for the new copy since used copies don’t help the author any. I would also buy books from B&N. There wasn’t a Borders near my house, so I never shopped there. The only time I used/use Amazon for book purchases is if it’s an older book and I’m having trouble finding it elsewhere. You know, I never thought about that first point, Kelley, but it totally makes sense. I’m definitely going to have to do some more research into that. I certainly don’t want to hurt publishers or, in turn, authors. Thanks for mentioning it! Unfortuantely, sometimes I was just too broke to splurge on a brand-new book, but I did try! With e-books, I get a lot of books from NetGalley, but if I really liked one I’ll buy it when it comes out, too. I tend to do a lot of the same type of book-buying that you do. I don’t treat my local bookstore like a lending library (I hate buying new books that are all dog-eared because somebody else has read it in-store), or as a source for finding new titles either. I have to say, I definitely look at buying books a little differently now that I’m writing books that I’m hoping to get published. I look at book buying differently now too, Jaime. I definitely consider the source and my browsing actions more carefully. Borders! How I miss you ;_; I used to spend my Saturday mornings in my local Borders. It was the best! I used to spend several hours a week writing in the Borders cafe, and we used to shop there nearly weekly. My husband and I would go there after dinner on our date nights! Oh, how I miss you, Borders! Great RTW post, Katy, and thank you so much for posting about IF I LIE. I appreciate it so much!! My pleasure! IF I LIE sounds amazing. Can’t wait to read it! That picture is so pretty! And I totally agree about buying books where you find them. We lost our Borders too. 😦 Now it’s a bit of a schlep to find a store that sells new books. While hubby likes buying used, I feel guilty since I know the author won’t get a royalty on that used book sale. So I buy new as much as I can (generally e-books). I like to buy new as often as possible too. That’s one of the reasons I’m thankful that my local indie sells both new and used. They’ll special order anything they don’t have in stock too, which is awesome! Great answer to the RTW! I’ll buy a book where I see it, but usually that place is from the comfort of my living room, Browsing Amazon. I’m an Amazon fan too! I learn about so many cool books online, so I don’t feel guilty logging on to buy them. It’s the “window shoppers” who browse THEN buy online that make me sad. I don’t want to lose the physical stores in my area! Ugh. There are no words for the sadness I feel when I drive by the shell that once was my Borders. That neighborhood bookstore of yours seems so cute! I mostly buy mine on Amazon (I KNOW) or BN.com (for Nook books). There’s a Barnes & Noble about five minute from me, so if I shop at an actual store I’ll buy from there. Any independent bookstores are much further away. And that book sounds great! I love the mystery element…that’s what really makes me want to read it. That’s what makes me want to read IF I LIE too, along with the military references (for obvious reasons). And yes, my neighborhood bookstore is adorable. The staff is fantastic too! So knowledgeable and full of recommendations. Love it! my bookstore employee days were pre-Amazon (as mind-boggling as that seems now), but we did get people who came in our store and spent a lot of time getting recommendations from us, only to go up the street and buy it at Tower. Teachers hardly ever did that, but lots of other people did. While I gave B&N a lot of love in my post, Borders will always have a special place in my heart as “The place I met Suzanne Collins and heard her read aloud from Mockingjay”. Borders Lincoln Center, baby! I do miss that one. I gave up on WalMart when I was visiting my sister about a year ago and wanted to buy her a copy of Hunger Games. WalMart was the only store nearby…and when it wasn’t on the shelves and I asked an employee to check the computer, he looked at me funny and said, “What is that–a book or something?” And then they didn’t have it. Sigh. Oh, Walmart isn’t exactly tip-top in the customer service department. They do have good deals which, occasionally, I can’t pass up! And Borders… it’ll always be my favorite! There’s something so romantical (:)) about used bookstores. They’re some of my favorite spots to shop! I was just at Barnes and Nobles today, actually. There was a giant line of holiday shoppers, so I guess they are selling some books. If I Lie looks intriguing. I’ll check it out. Good grief! You’re brave to set foot in a Barnes and Noble this time of year–any store, for that matter! I am glad to hear that they’re selling. Closing bookstores aren’t good for anyone! I miss my Borders! And like you, I must’ve spent a mint at their stores, so how they could go out of business. . . .
A Good Book looks like a perfect, homey, book shop. Love it. My pleasure. Thanks for the fantastic post! And Borders… still makes me sad! I’m in Canada, so I’m a Chapters girl. I absolutely love that place. And I very much hope that our Chapters stores don’t close down, too. What would we book-lovers do without actual bookstores to lose ourselves in? I’ve never heard of Chapters, but I’m with you: What WOULD book lovers do without actual bookstores? The thought is so disheartening!